Parts of the Middle East and North Africa are safer by a range of measures than some more popular holiday destinations. Jordan has a lower risk of crime than France, Italy, the US and Thailand. 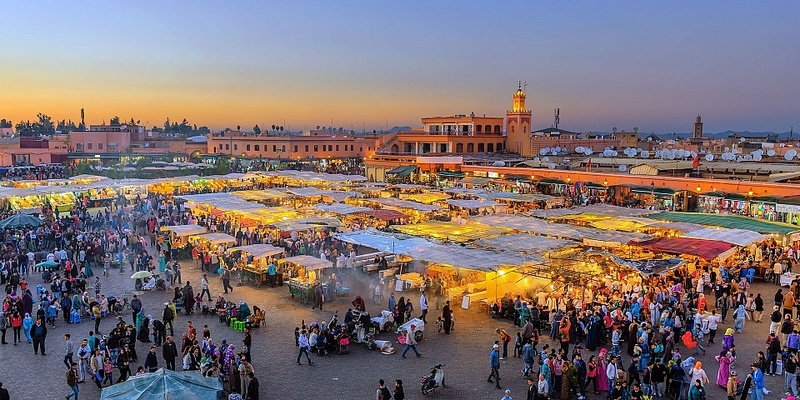 Morocco has less crime and a lower risk of terrorism than most of Europe and the US. Neither country has high risk of natural disaster or significant health risks. This is according to data sources collated by Which? Travel. We looked at statistics produced by the World Economic Fund, for crime rates, the World Risk Report, for likelihood of major natural disasters, the NHS Fit for Travel website, for health risks and the Foreign and Commonwealth Office’s (FCO) assessment of terrorism risk levels. Of the 20 holiday destinations that we looked at, Iceland, unsurprisingly, came out as the safest country. Thirty six people have been murdered in Iceland since the year 2000, an average of around two a year. This is tragic but means, statistically, that it’s one of the world’s most peaceful nations. The UAE and Singapore were also considered extremely safe, with Spain the next safest of the six popular European holiday destinations that we looked at. Worst rated were South Africa, Turkey, Thailand, India and Mexico. Despite experiencing up to 500 earthquakes a week, as well as active volcanoes, the World Risk Report also says that visitors to Iceland run little risk of natural disaster. Even safer, though, is Barbados – which had the lowest risk of natural disaster of all the countries that we studied with 1.21%. The riskiest country was earthquake-afflicted Japan, which, while considered extremely safe by most measures, had a natural disaster risk of 13.47%. All five western European countries we looked at were low risk, as were the UAE, Japan and the US. The NHS does not advise vaccinations for any of them or warn of any specific risks. Dengue fever was an issue even in countries such as Singapore and Australia, while malaria affects certain areas of India, South Africa, Thailand and India. The NHS also warns of diphtheria, hepatitis A, tetanus, typhoid and a moderate risk of Zika in the latter country. The FCO says that terrorism ‘can’t be ruled out’ anywhere. Even Iceland and Japan receive this warning. Elsewhere in the world, it’s either ‘likely’ or ‘very likely’. It’s ‘very likely’ in Australia, Jordan, France, the US, India, Thailand and Turkey.